33 years, 6 months, 12 days old age. Marina and the Diamonds will turn 34 on 10 October, 2019. Only 5 months, 17 days, 21 hours, 25 minutes has left for her next birthday. Marina and the Diamonds has celebrated the total number of 33 birthdays till date. See the analysis by days count and bar graph. 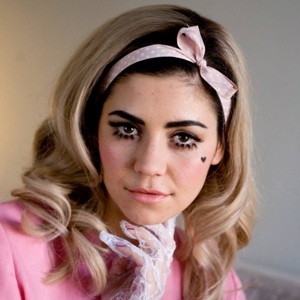 Marina and the Diamonds was born on 10-10-1985 in Brynmawr, Gwent, Wales, United Kingdom. She is a Welsh Singer, Songwriter, Musician, Artist, Recording Artist & Feminist. She was born to Dimos Diamandis and Esther Diamandis. She has a sister named Lafina Diamandis.